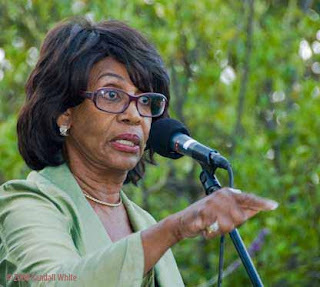 The U.S. Representative, Californian Congresswoman, a long-time supporter of democracy in Haiti Maxine Waters, qualified the Haiti's upcoming election to be a set back for Haiti's democratic development if these elections will not be fair and credible. Congresswoman Waters expressed her concerns about the upcoming elections in a letter addressing to Haitian President, Mr. Rene Preval. Representative Waters' letter is one of dozens of letters that have been sent to President Preval, U.N's Secretary General and OAS' Secretary General about the upcoming flawed election in Haiti, scheduled for the months February and March. Coming soon, more analysis about other letters on Haiti's undemocratic upcoming elections as already qualified by national and international political leaders and human groups. Below is the Letter of Rep. Waters to President Preval. I am writing to express my concerns about the decision of Haiti’s Provisional Electoral Council (CEP) to exclude more than a dozen political parties from the Parliamentary elections scheduled for February and March 2010. I am concerned that these exclusions would violate the right of Haitian citizens to vote in free and fair elections and that it would be a significant setback to Haiti’s democratic development. As you know, I have a longstanding commitment to supporting democracy and development in Haiti. I led efforts in the United States Congress to obtain debt cancellation for Haiti. These efforts culminated in the World Bank’s announcement last June that Haiti reached the “completion point” for the Heavily Indebted Poor Countries (HIPC) Initiative and would receive complete cancellation of its multilateral debts. I am also working to increase United States bilateral assistance to Haiti. It is imperative that Haiti’s next elections be free and fair and that they be perceived as free and fair. Political parties should not be excluded from an election without a legally compelling reason, determined through a transparent, impartial process. The CEP, to my knowledge, has not provided a public, written explanation for the exclusions of the political parties from the upcoming elections. The CEP’s failure to explain the justification for the political parties’ exclusions for almost a month raises questions about the validity of these exclusions. The fact that the decision was made by a provisional CEP – one chosen by your office from a list of nominations from organizations selected by your office rather than according to the 1987 Constitution – also raises questions about the fairness of the process. I urge you to take appropriate action to ensure that the upcoming elections in Haiti are free and fair. This includes taking appropriate action to ensure that the CEP: a) provides a complete, public explanation for the exclusions; and b) allows any political party that was excluded for anything less than a clear, compelling legal reason to fully participate in the February elections. Please communicate with The Honorable Hillary Clinton, Secretary of State of the United States; The Honorable Eliot Engel, Chairman of the Subcommittee on the Western Hemisphere; and myself regarding the measures you take in this matter. I look forward to continuing to work with you to support democratic development in Haiti.